Mr. Michael Hii is an oesophago-gastric surgeon who specialises in diseases of the oesophagus, and stomach. Mr Hii completed training in general surgery in Melbourne and then went on to complete an additional three years of specialist training at the Royal Brisbane and Women’s Hospital, the Princess Alexandra Hospital, Brisbane and St Vincent’s Hospital Melbourne. Mr. Hii has clinical interest and experience treating oesophageal cancer and stomach cancer, reflux disease, hiatal hernia and diseases of the adrenal glands, opting for minimally invasive approaches. Mr Hii also specialises in all forms of Bariatric (weight loss) Surgery. 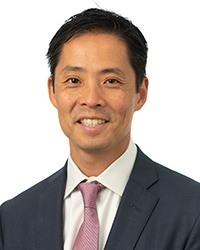 Mr Hii has a strong academic interest and is a senior clinical lecturer with the University of Melbourne, the chair of the St Vincent’s Hospital Upper GI/ HPB research group and the Director of pre SET surgical training at St Vincent’s. Michael also works as an upper GI surgeon at the Royal Melbourne Hospital, and holds an honorary position at the Peter Macallum Cancer Institute and Box Hill Hospital. AGITG Meeting Melbourne, 6 – 8 October 2013. Hii MW, “Sleeve gastrectomy and gastro-oesophageal reflux disease”. GSA trainees’ day – Upper GI. Singapore, 5 May 2014.